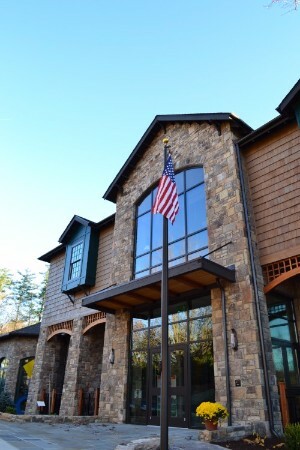 When the Blowing Rock Art and History Museum (BRAHM) opened the doors of its new building on October 1, 2011, it was the culmination of more than a decade of effort put forth by a dedicated group of supporters determined to make the project a success. The Museum was organized in 1999 in response to a Charlotte art collector’s desire to find a permanent home for his collection of works by North Carolina native and seasonal Blowing Rock resident Elliott Daingerfield, who was a significant figure in the American art scene at the turn of the 20th century. From there, the founding group set out to raise funds and develop plans for a permanent structure. In 2001, the organization received its non-profit status from the IRS and elected a governing Board of Trustees, headed by Welborn Alexander, who continued to lead BRAHM through the planning and construction process. In the spring of 2003, then-Membership Committee chair Joann Mitchell (who became BRAHM’s Executive Director in 2005) organized BRAHM’s first membership mailing, uncertain of what to expect. The response was overwhelming. After a lengthy search for a place to locate the Museum, the Town of Blowing Rock agreed in August 2003 to offer BRAHM a long-term lease on a portion of the Tiller-Lane property, where Daingerfield had built “Edgewood Cottage,” his first home in town. In 2005, Mitchell was named the Director and the process began to select architectural and construction firms for the building. At long last, ground was broken on the site in September 2009, with Boone Construction Company set to implement the design provided by Callaway, Johnson, Moore and West. While continuing to plan and construct the Museum’s physical structure, organizers saw no reason to wait to provide cultural offerings for the community. Between 2002 and 2011, BRAHM sponsored a number of programs and fundraising events that were well received and widely attended while working to complete the capital campaign and build a strong membership base, which would over the years grow to more than 600. The idea for a Blowing Rock Art and History Museum is born, following the success of “Daingerfield Days,” an exhibit held at St. Mary of the Hills Parish. BRAHM is incorporated and receives its 501(c)3 non-profit status. The Board of Trustees is formed and bylaws are written. The original Board of Trustees included: Welborn E. Alexander, Joseph D. Dulaney, Herbert Cohen, Jose A. Fumero, Robert B. Gibson, Susan Glenn, Betty B. Howe, H. Lamont Hudson, Jane T. Milner, Joann C. Mitchell, Josephine P. Rankin, and Virginia A. Stevens. The first membership drive is mailed. BRAHM works with the Baltimore Museum of Art, the National Park Service, and the BBC-Scotland to organize a day-long event in August that commemorates the lives of Claribel and Etta Cone, the art-collecting sisters of "the Denim King” Moses Cone, who in 1901 built Flat Top Manor on his nearly 4,000-acre Blowing Rock estate. The event was co-chaired by Sylvia and Cullie Tarleton. BRAHM’s tradition of summer programs continues in July with its “Art Celebration! 2004,” which exhibites and auctiones 47 pieces from local artists, both current and historic. Joann C. Mitchell is hired as the Museum’s founding director. A second “Art Celebration! Exhibition and Auction” is held in July. As a gift to the Town of Blowing Rock, BRAHM commissions local artist Robert Johnson’s outdoor mural "Flora and Fauna of the Mountains," which honors the late Hugh Morton. The first "Art and Antiques Show" premieres and is such a resounding success that it becomes an annual event, to be held during the last weekend in July. An administrative assistant joins the BRAHM staff. The Town of Blowing Rock grants BRAHM a Conditional Use Permit and Boone Construction Company is hired to provide a construction estimate. Throughout the summer, BRAHM holds multiple public hearings to gather opinions on the building’s placement and the town’s parking deck to be built adjacent to the Museum. The Groundbreaking is held and construction begins in September. The winter is among the most severe in recent memory. Boone Construction’s crews continues despite extremely low temperatures and multiple snow storms. The BRAHM staff expands to include a coordinator of public relations. A BRAHM preview exhibition is hosted in August by the Art Cellar in Banner Elk, which features a portion of the Museum’s permanent collection. In September, the Museum holds a “Tree Topping Ceremony and Family Day” celebrating the placement of the top beam on the Museum, as well an exhibition of art inspired by the Blue Ridge Parkway to celebrate the 75th anniversary of the scenic byway. The building is under roof by the fall. Another harsh winter forces rock masons to lay stone under sheets of plastic. By the spring, the interior of the building is beginning to take shape. Floors, sheetrock, ceilings, plumbing, and wiring are installed. Three new employees join the staff: a business manager, education and programs coordinator, and visitors’ and members’ services coordinator. BRAHM sponsors two summer events at Blowing Rock Frameworks and Gallery: “Picture Yourself Here,” a photography exhibition in May and “Cork and Canvas,” a fundraising auction featuring pieces donated by local artists in June. The building is completed, and the Museum staff takes possession of the building to prepare for the Grand Opening, to be held on October 1. North Carolina history and art are prominent in exhibitions from The Blowing Rock to Curious Collections of the Carolinas and North Carolina Treasures. 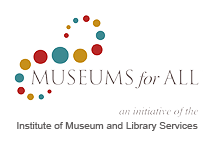 Art Among Friends exhibition is curated and features four private collections of American art. BRAHM hosts The Watercolor Society of North Carolina Annual Exhibition. Exhibition favorites are American artist Wolf Kahn Barns and Quilts: A Rural Tradition. Education programs are greatly expanded with outreach to public schools throughout the region. The Museum hosts its first exhibits of contemporary art in Millhands/Handmade and The Sculptor's Voice. These exhibits are anchored by Romantic Spirits: Nineteenth Century Paintings from the Johnson Collection. The Museum hires a new Executive Director, Lee Carol Giduz. Many wonderful events anchor this year. The year began with the museum retiring its debt and becoming debt-free, and ended with significant additions being made to the permanent art collection. We also added a state-of-the-art hanging system in our art vault. Some of the exhibition highlights of the year were the Elizabeth Bradford Exhibit, Time + Terrain sponsored by Wells Fargo Private Bank, Ralph Burns: A Persistence of Vision exhibit, Elliott Daingerfield Collected, and Everyman Jack: Stories and Illustrations by Gail E. Haley.